Doreen McGuinness loved her first job, working in the mill in Coppull. 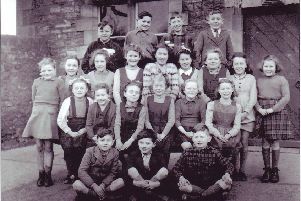 The 82-year-old from Chorley recalls: “I left Coppull Old Parish School at 15 and started in the factory. My mum, Lily Thorne, was a spinner. “Her sister, Nellie Taylor, also worked there and my cousin, Alice Baxendale, also worked in the spinning room. “I worked in the mill for three years until I was 18 and went to the Royal Ordnance Factory in Euxton. “I used to go on a Saturday morning to make a bit of money cleaning up. “I was on the cards, looking after 24 cards. They filled with cotton and were pushed to boxes and went on a frame. “ They were then transferred to another frame and went upstairs to the spinning room. I cleaned the boxes for the other ladies whilst they were on their lunch. “It was a very good job and I loved every minute of it. “It was a dirty job as there was no health and safety but I did enjoy it. Doreen, a mother-of-two, adds she made a lot of friends and socialised with the girls. She says: “Quite a few of the girls were from Wigan. “It was great as the factory closed down for Wigan holidays. “Three or four coaches came to take us on day trips. “I also remember going to the nearby Railway pub for Christmas lunch. “We had hot pot. We would often go there after work. She send in this photo as the girls celebrated the Queen’s coronation in 1953. She says: “An old man came with a box camera and asked us to get together for a photograph. If anyone worked with Doreen, call Natalie on 01772 838104 or email natalie.walker1@jpress.co.uk.